Students Pitch Their Business Ideas Class of ’17 Graduates! 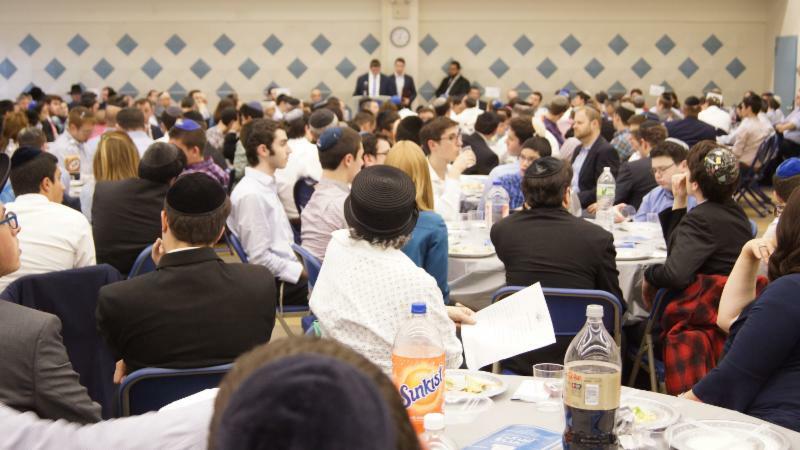 On Thursday night, the Yeshiva convened in Furst Hall for its annual Seudas Preidah, celebrating the conclusion of a year of incredible Torah learning and over 100 siyumin! 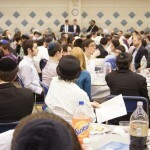 The talmidim were joined by parents, faculty, numerous YU Roshei Yeshiva and even new YU President Rabbi Dr. Ari Berman. After words of welcome from Rabbi Kahn, who noted that the evening was being dedicated in memory of Mr. Samuel Goldberg, z’l (father of YUHS Board member Mr. Alan Goldberg and father-in-law of Board Chair Mrs. Miriam Goldberg), who passed away just last week, RIETS Rosh Yeshiva and former MTA parent Rav Yaakov Neuburger presented a d’var Torah and then the official Siyum commenced. Elazar Mermelstein (’17) and Joshua Zyskind (’17) were mesayem Maseches Kiddushin, Benjy Bral (’18) and Nachi Piltz (’18) were mesayem Maseches Rosh HaShanah, and Yochanan Zupnick (’19) and Shlomo Fink (’19) were mesayem Maseches Moed Kattan, all representing the many other students who completed a Massechta. Following the siyumim, the talmidim danced with their Rabbeim to exciting live music; the food then was served, buffet style, and the talmidim, parents and Rabbeim enjoyed their Seudas Mitzvah together. Rabbi Taubes then shared a D’var Torah about the need for a rebbe to engage his students’ minds and hearts, and then introduced the next speaker of the event, Rabbi Gidon Shloush – father of Micha’el (’19), rabbi of Congregation Adereth El in Manhattan, and President of the New York Board of Rabbis – who spoke of his time in Eretz Yisrael just a few weeks ago for the 50th anniversary celebration of Yom Yerushalayim. Rabbi Shloush highlighted the importance of enjoying the Torah learning and the continuity of its study. The final speaker was graduating senior Aryeh Beinstock (’17), who spoke of hakaras hatov for the rabbeim and our Yeshiva for all they did for the talmidim. The crowd then bentsched, and the rabbeim handed out sefarim to each talmid. The Siyum this year was amazing once again, and the Yeshiva is looking forward to celebrating the Talmud Torah of the talmidim next year and for many years to come.